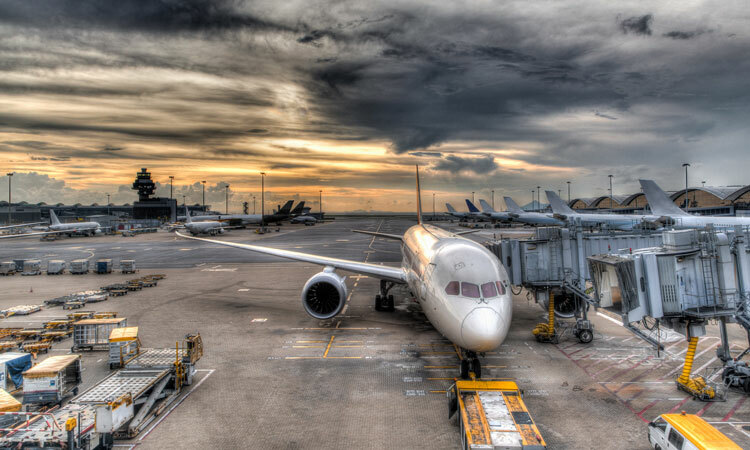 As the number of yearly passengers continues to grow (4.3 billion in 2018 – a six per cent increase on 20171) and air freight rebounds (62.5 million tonnes in 2018 – a 4.5 per cent increase on 20171), many airports seek to upgrade facilities or expand to meet the burgeoning demand on their already restricted and overused infrastructure – much of which was built based upon underestimated traffic numbers decades ago. While we have seen better use of aircraft slots and runways as well as an increased use of automated check-in and a reduction in the infrastructure requirements within the terminal building, one area that continues to be neglected is the ramp. As a result of geographical restrictions, airports are adding more stands into already crowded aprons where we see larger profile aircraft (many with performance-enhancing winglets) encroach upon ever-congested operational areas. In addition, with a liberalised ground handling market, airports are continuing to add to the number of their airside operators, which only further contributes to the already jammed conditions of the ramp. Figuring out how to manage multiple ground handling operators, each with their own vision, goals and standard operating procedures (SOPs) is slowly becoming an everyday headache for many airport managers around the world. Even worse, failure to find a suitable solution has created a situation whereby 85 per cent of all aircraft damage occurs while the aircraft is on a parking stand! Too often, the management of the airport is either left to try and police everyone’s business or to abdicate their responsibilities on the basis that the stakeholders will somehow sort it out between themselves. To do otherwise just means the airport will inevitably get embroiled in parts of the business which should be managed by stakeholders. In reality however, the solution is not that difficult. Rather it is just a matter of formalising where that delegated responsibility sits and how the different parties involved are accountable. So what can airports do? 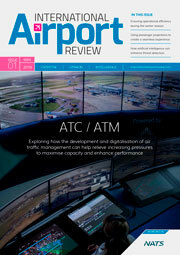 Here are four strategic controls that airports can implement. Many will groan when they hear “we need to perform a benchmark”. In today’s hectic operational environment, not many teams can afford to set aside a couple of days to perform a proper benchmark exercise or they risk falling behind on their job duties. Airport community members are often so busy coping that implementing good practice inevitably gets lost in the daily challenges. As such, there may even be unintended long-term consequences to what at first appeared a good idea to solve a short-term problem. Nevertheless, a benchmark is a crucial step to regain control of one’s operations. A proper gap analysis highlights the shortfalls in standards and recommended practices while providing a 360-degree perspective and holistic view of the issues and potential solutions. Additionally, it is far cheaper to learn from others’ mistakes than funding your own. When asked about the subject, an example we often give is that of an airport in Asia Pacific which had an abnormal increase in wing tip damage from high-sided ground support equipment. When an independent audit was performed, the root cause was found to be a failure of staff to position cones correctly to indicate the safe distance from the wing tips. In 90 per cent of the cases, the cone was actually inside the wing profile. The reason given for this was that the stands were now so narrow there was no room to position the cones! Drivers were doing as they were told and remaining outside the cone, only to realise – after scratching the aircraft – that the cone itself was incorrectly placed. This is now a common issue at most airports we visit. To many airport authorities, coordination of the many different ground handling stakeholders is seen as difficult a task. Increased activity and a growing stakeholder population quite often leads airports to a more reactive (rather than proactive) approach to dealing with situations as it is very difficult to please everyone, all the time. Airport Operators Committees are now increasingly becoming a vehicle to vent frustrations rather than working as a group in the airport. However, this often doesn’t have to be the case. With a little outside help, conducting proper stakeholder management can go beyond addressing issues at the individual stakeholder level; rather it can also address issues from a community perspective thus reducing the chances they repeat themselves. Providing everyday services such as ID or driving permits free-of-charge might be good in the short-term when there are few ramp-side operators, but it can be very counter-productive in the long-term. Without a fee structure, the provision of such services cannot meet the increased demand from a larger number of stakeholders. The result is usually an abuse of the system, as there are no financial penalties. In fact, by implementing a fee structure, airports can reduce costs and wait times for their stakeholders, boost provision service levels and even influence operators to the point where they must operate at a more cost-effective level if they want to compete within the airport’s operating environment. The goal is not necessarily to make a profit, but rather to find a cost-neutral solution that increases stakeholder accountability while elevating overall service levels. Involve all stakeholders on an equal basis, thereby avoiding any perception of unfair accommodations (for example when some stakeholders might feel victimised for not being the largest or because they fl y less frequently, etc.). By allowing an equal voice – and using the stakeholders to devise solutions through a customised internal framework – an airport can and will promote ownership of the changes required for more efficient operations. In summary, in a busy environment with many demands on both human and infrastructure requirements, it is extremely challenging for airports and their stakeholders to find the time to address the complexities of constant growth. Even if there is spare land to expand, this option could take years in development and costs far more than the available budget allows. The answer then is to use the resources at hand – to stop firefighting and start cooperating. This can indeed be demanding when there are multiple stakeholders, with different business drivers and already over-extended resources. Seeking independent advice can allow for objective decision making, promote openness amongst stakeholders and ensures a collective approach – based not only upon best practice, recommended standards and regulations, but also resulting in a customised strategic control design for each airport, owned and managed by the stakeholders. Ricardo Aitken is a project manager in IATA’s cargo and ground handling consulting division. Before joining IATA, Ricardo worked at Lufthansa Consulting, as a consultant to diverse projects across the globe. Ricardo holds four engineering degrees and has worked on-site for projects in Australia, Brazil, Cambodia, Djibouti, Ecuador, Germany, Hong Kong, Japan, Kazakhstan, Kuwait, Luxembourg, Rwanda, Saudi Arabia, Thailand and Trinidad. Ronald Schaefer is assistant director of cargo/ ground operations and CEIV consulting and is responsible for IATA’s CEIV Pharma Program. He was born in Hamburg, Germany, raised in Mexico and educated in the U.S. He has been based in Miami for the past 10 years, working for IATA. Before joining IATA, Ronald accumulated vast experience in the air transport field working as a consultant for Lufthansa Consulting GmbH, Roland Berger Strategy Consultants GmbH and Ferrostaal México. He has worked on corporate restructuring, strategy, post- merger integration, market and competitive analysis, safety, risk management initiatives among others, in the transportation industry on all continents with the exception of Antarctica. Stuart Matheson is a senior consultant with IATA. He has worked with multiple airports, airlines, service suppliers and government regulators in the field of ground operations across many parts of the world. He brings 20+ years of experience to the industry, coupled with unique insight gained on his many travels. He is a specialist leader in operational design and delivery, a lecturer in aviation matters as well as an expert negotiator and RfP director.